Blum mounting plates offer quick and easy door installation, making them ideal whether you are a professional craftsman or a DIY amateur. Blum mounting plates are designed with ease of use in mind. The hinges simply clip onto the plate. 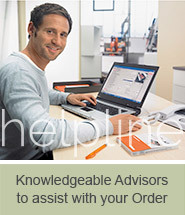 This ensures your cabinet door can be affixed or removed quickly and easily. 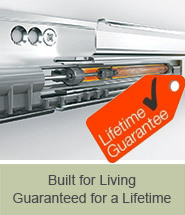 However, the Blum hinge plates design ensures your door will not come loose. The hinge mounting plate means the height of the door can be easily adjusted, ensuring a professional finish. 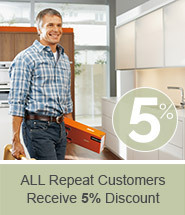 Ordering Blum hinge plates from Trade hinges is always quick and easy. 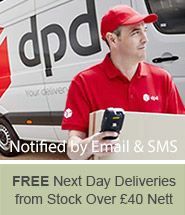 We offer next day delivery on all of our stock with no minimum order requirement. If you need Blum clip hinges or hinge plates which are not featured on our site, let us know. We aim to obtain these for you within three days.